A few years ago, I would have never thought twice about it, but now when I see a child in this position my whole body cringes. I fight every urge in my bones to say “fix your legs, sweetie.” I can’t help it. It’s engrained in me. It’s in my blood. You see, my son struggled with core strength and commonly sat in the “W position” for many years. He wouldn’t, no, he couldn’t sit in any other position. Since our battle with W-sitting, I’ve been in the middle of many discussions with people about the validity and importance of w-sitting. Boy, can these discussions get really heated! That’s why I’ve invited some pediatric therapists to discuss the when to worry about W sitting and share what you really should care about! 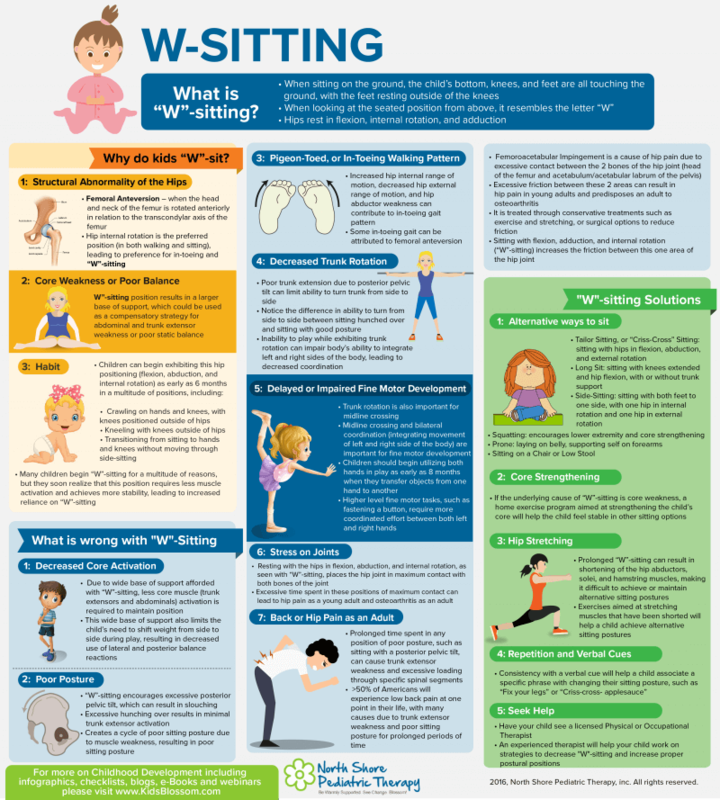 While “W-sitting” is a common phrase for occupational, physical, and development therapists, there are a multitude of misconceptions regarding this particular sitting position to those not familiar with it. W-sitting is a sitting position in which children sit with knees bent, feet tucked under, bottom resting on the floor between their legs, and legs out to either side. The child’s knees may be close to touching or may be splayed apart. Parents and therapists usually notice children W-sitting between ages 3 to 6, but you may also observe it with younger or older children. In the therapy world, when brought to the attention of parents, typical responses generally include “I’ve never noticed that before” or “I used to do that; it’s not a big deal.” Since pediatric therapists routinely work to correct this sitting posture in order to prevent additional impairments, let’s explore some of the reasons W-sitting is not recommended for children and when you should really worry. Misconception #1: It doesn’t cause any long-term effects. There is no excessive stress on a child’s joints, muscles or knees in the W position, because kids know how to avoid pain in their bodies. The Truth: While your kiddo may find it more comfortable to sit in a W and will naturally avoid painful positions, W-sitting is usually a pattern that is used whenever the child is sitting on the floor. Over time, undeveloped bones and joints are affected by the routine stress on the hip and legs. Generally, I don’t worry about adjusting the W-sit pattern until about age 2 to 2.5 due to increased flexibility and malleability of bones and joints in infancy. Internal rotation (twisting inward) of the thighbone (which is called “femoral anteversion”) is fairly typical at a young age and tends to decrease after age 8. However, it is important to note that therapists see better results the earlier the problem is addressed. Age 8, or even 6 or 7, are considered advanced stages to discover issues with coordination and strength that could have been addressed or avoided altogether. 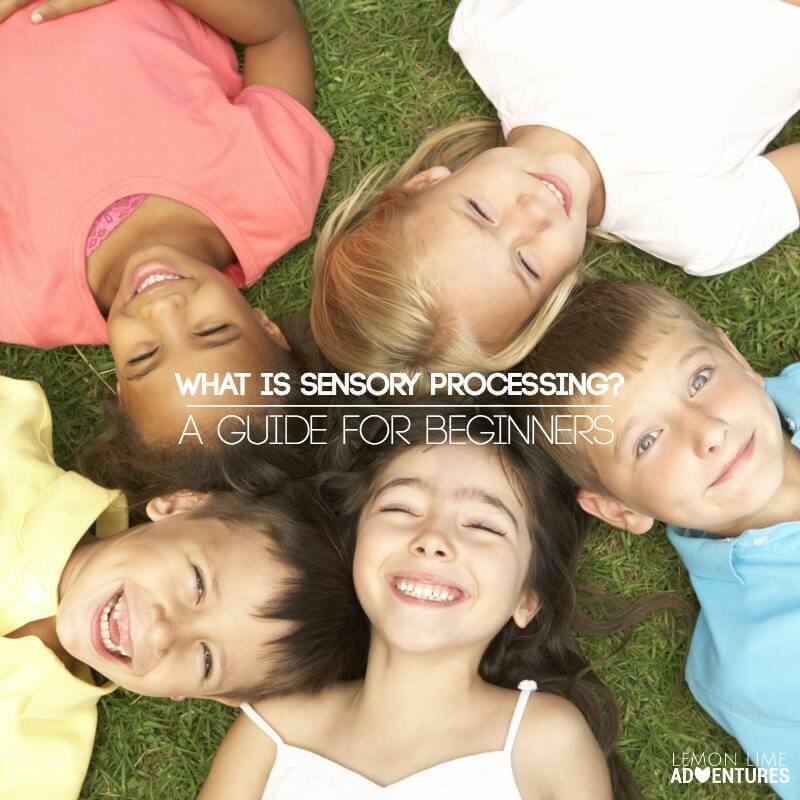 Additionally, this pattern is also seen in kids who have other underlying issues, such as low tone, generalized muscle weakness, sensory concerns, and decreased fine and gross motor coordination. Misconception #2: It’s more stable than other sitting positions. 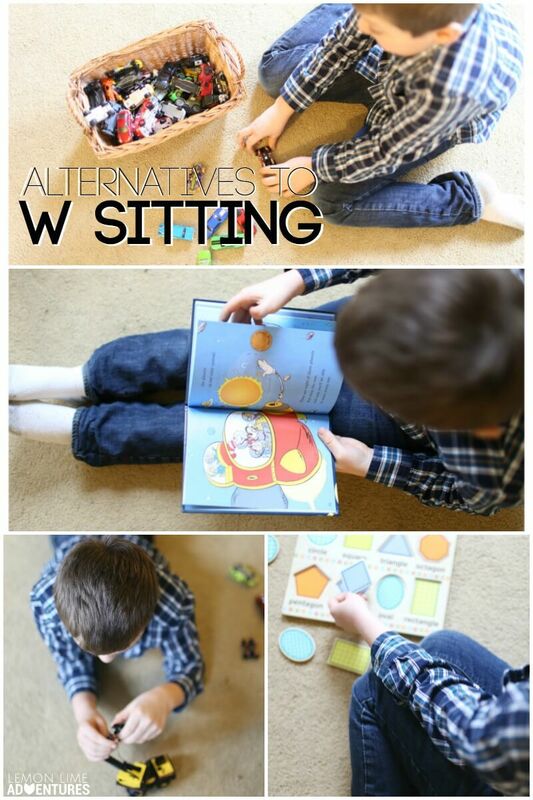 W sitting can be a more stable sitting position for children. However, this is because in the W pose, children do not have to work quite as hard to engage their core and hold their trunks upright. Instead, they spread their lower limbs to create a wider base of support, relying on their joint structures (and not their muscles) to hold them up. In this position, the muscles are not stabilizing the hip joints. This causes increased posterior pelvic tilt (the front of the pelvis rises and the back of the pelvis drops), which can result in poor sitting posture, decreased core activation, reduced trunk rotation, and delayed fine motor development. Due to the wide base of support utilized in the W-sitting position, less core muscle (i.e. trunk extensors and abdominals) activation is required to stay upright. This wide base also limits a child’s need to weight shift on their bottom from side to side during play, resulting in decreased use of balance responses. This lack of activation causes a cycle of muscle weakness, resulting in difficulty integrating the left and right sides of the body, leading to decreased coordination. These impairments can lead to decreased play involving crossing over the body’s midline and poor progress with high-level fine motor tasks using two hands. According to Rebecca Cohen, DPT, PT, increasing the inward rotation of the hip while decreasing the outward range of motion can contribute to a pigeon-toed gait pattern. This walking pattern is correlated with excessive tripping, clumsiness, instability when walking and running, and decreased balance and body awareness. Another joint abnormality that occurs is called tibial torsion, which is the outward rotation of the lower leg. While standing, this type of torsion causes the foot to turn outward and the knee to turn inward. This position can be painful. It also influences walking and running mechanics. With the foot facing outward, the last point of contact when walking becomes the outside ridge of the foot, which leads to abnormal gait mechanics. Walking can become tiring, slower, and painful. Children may also experience foot pain because of flattening arches. If untreated, adults can experience tight iliotibial (IT) bands, knee arthritis, and/or hip and back pain. When Should You Worry About W Sitting? You might be wondering, yeah, but when should I worry. When is it really a problem? The truth is that W Sitting by itself is not always a problem. In fact, when children use this position only rarely and don’t depend on it for support, it can often be no cause for alarm. However, there are cases when you should seek professional help. …visit a Physical Therapist for further assessment. ….visit an Occupational Therapist for further assessment. Cross-legged, or “criss-cross applesauce”: a common position, children sit with feet crossed and knees apart. Side-sit: in this position, both knees are bent, weight is shifted to one hip, and both feet are out to the same side. This removes stress from the hip joint structures, allowing for easy transitions in and out of sitting. Encourage sitting on both the right and left sides to promote equal development. Long-sit: feet are straight out in front of child. The back may or may not be supported by sitting with back against a wall or steady surface. Short kneel: children sit back against heels in a folded kneeling position with their feet tucked together under their bottom. As long as they don’t shift back into the W-position with their bottom on the floor, kneeling is a great way to strengthen hip and core muscles. Half kneel: children position themselves with one foot tucked under and the other foot flat on the ground. In this neutral position, muscles will be active and get a gentle stretch without wear and tear. Squat: I often create games that involve squatting as a great way to stabilize core and active quads, glutes, and hamstrings to increase overall strength. Chair sit: If a child is having difficulty with the other positions, sitting in a low chair will still allow them to participate in play. Time in this position should be limited to encourage muscle activation. 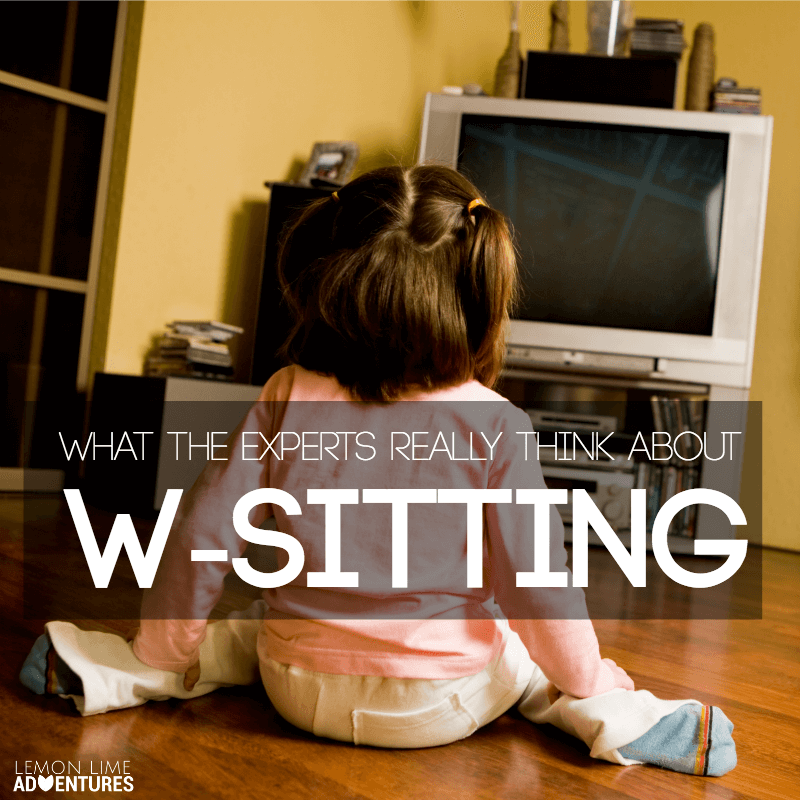 W Sitting and Young Children: What is it? Jen Brown is an Occupational Therapist with a passion to help kids realize their full potential and strengthen families through collaborative therapeutic intervention. Jen earned her BS in Child Development from the University of Illinois at Champaign-Urbana and her MS in Occupational Therapy from Temple University in Philadelphia. Prior to her career in OT, Jen taught preschool and Kindergarten. Jen has worked in various therapy settings, including Early Intervention, outpatient pediatrics, adult day programs, and acute care. She has experience treating children with ASD, SPD, developmental delay, ADHD, ODD, hemiplegia, behavioral concerns, and fine/gross motor delays. When she is not traveling, Jen can be found enjoying nature, baking, or at the gym! Very very well put! All info in this article both scientific and simple, understandable explanations . I am a certified FELDENKRAIS Method practitioner. In the Feldenkrais method which works neurologically and developmentally, we can help adopt new ways of moving, sitting, functioning for a person who faces difficulties such as W-sitting. It is common on one hand, on the other when it becomes a habit, it is not as healthy anymore..this is how the nervous system works and it needs the right stimulations to learn new patterns!.. The info-graph at the top of the post, where can I obtain one? So if my daughter is under two, has good fine motor skills, and can sit in other positions, I’m ok? It sounds like she is able to use other positions. If you are worried you can always have her evaluated. I really like how thoroughly and simply you have explained things here. When my daughter started receiving OT, I was quite confused as to what exactly “W” sitting was and why it’s not a good position for her to sit in. Then thinking back, I remember how I sat in that position quite a bit. I did become pigeon-toed. I developed knee problems in my teens, back problems in my 20s, and hip problems in my 30s. If I can prevent this from happening to my daughter, it’s worth the effort of encouraging her to sit in a different position. Thank you so much for this! Was very helpful 🙂 I have a child in my care who sits like this and we’ve been trying to help, but the parents don’t seem to understand the severity. I would love to give them a copy of the infographic, but it doesn’t seem to be linked any more. Could you please point me in the right direction to find a copy. What a fantastic resource! I am a PTA who works with children. I use a low sturdy box )one side cut OT) or a stool as an alternative sitting position. The lower legs fit into the box or under the stool and the child can perch their bottom on the box or top of the stool. It is a great alternative to side-sitting and often more comfortable than long sitting.